Great short film about the formidable outcomes for clients using mainstream life coaching techniques. John Vanek is a EMCC qualified Life Coach. 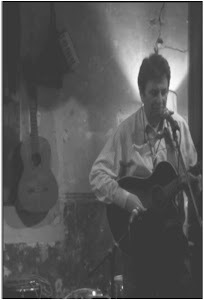 He specialises in mental wellbeing, arts and social inclusion. Since 2006 Vanek has been enabling individuals and groups to develop through their own coaching pathways into successful outcomes in mainstream life. Many of his clients have been referred directly through statutory health services from backgrounds of long-term mental illness. By enabling clients to define their own pathways into mainstream, Vanek has helped individuals and groups achieve positive outcomes. Vanek’s wide knowledge and involvement with the world of the arts and music has enabled clients achieve phenomenal transformations in their lives and careers. His clients have gone on to success across a wide spectrum of artistic fields. These include access to music studios, collaboration with other musicians, further and higher education, creative writing and publishing, film-making, music production, animation, exhibitions and sales of artworks. Vanek succeeds in bringing life coaching techniques that might have been previously limited to more privileged groups right into the heart of mental health recovery. Using tools such as the Wheel of Life, action plans and coaching tools, individual clients identify areas where they wish to make changes and move forward with their lives. Life Coaching works best with a series of 45 minute individual sessions – usually five in all, with further sessions if the client requires. The Coaching Contract You have contracted me to help you identify areas in your life where you wish to see change happen. As your coach it is my job to champion you in achieving those changes In a practical SMART time-lined way. I Remember Nothing from Zia Anger on Vimeo. The Hidden Messages in Water by Professor Masuru Emoto is not a book about life coaching per se. However, I have used it on most of my group trainings delivered to health professionals, managers, community workers and service users. The Hidden Messages in Water is essentially a masterpiece of positive thinking. 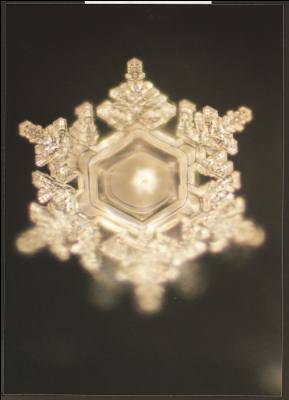 The book promotes positive awareness through a scientific methodology based on Professor Emoto’s many years of research into water crystals. The author demonstrates his science through write-ups of experiments and particularly through his outstanding microphotography of water. The author’s scientific contention is that everything in the universe is in vibration, including humans. Vibrations affect everything in the known world and this includes the effect of human emotions. Emoto uses microscopic photography of water crystals at the point of freezing to show the different formations that occur when the water is subjected to a range of human moods, verbal address and art forms, particularly music. When Emoto started the photographic research in 1999 at the suggestion of a colleague, he admits that the results astounded him. Putting a bottle of water on a table and playing different music at normal listening levels showed a wide range of crystal formations. 'Beethoven's Pastoral Symphony' (the 6th) with its bright and clear tones, resulted in beautiful and well-formed crystals. Water exposed to violent heavy-metal music resulted in fragmented and malformed crystals at best'. The reason I have used this book for life coaching is mainly because of the utterly beautiful photographs. A well-formed water crystal captured at the point of freezing is a phenomenal picture. I usually have a crystal slide as part of my PowerPoint presentation. I refer to Emoto’s research briefly and have the book on display. I use this because I feel the photographs illustrate aspiration, independence and the power of positive thinking and planning. For these reasons alone, the book allows me to create a framework for mental health training that incorporates aspiration, hope and recovery rather than the continual emphasis on diagnosis and support.